Every man should have a trusty body trimmer in his grooming arsenal to help keep things nice and tidy. Finding the right one can be a bit of a chore as many of you probably know. The Philips Norelco BG2020 BodyGroom tries to stand out by being a versatile tool that incorporates a trimmer with various attachment combs and a foil shaver. I’ve been using this trimmer for well over one year and it’s time to draw some conclusions. So let’s get started with the full, in-depth review of the BG2020. Wrapup—Who should buy the BG2020? The BG2020 is a grooming product intended to be used as a full body trimmer and shaver, depending on how much hair length you want to trim. It features two cutting blades, similar to a typical hair trimmer and between them, there is a thin perforated foil that covers the cutting blades. You can have even more control over the length of the hair by using the three attachment combs included in the pack. Being water-resistant, you can use it wet or dry. It operates cordless and comes with a charging stand. The body of the Norelco BG2020 is made entirely out of plastic, except for the rubberized ON/OFF button on the front. It has a curved, rounded profile that tapers toward the extremities. However, it feels robust and well built. 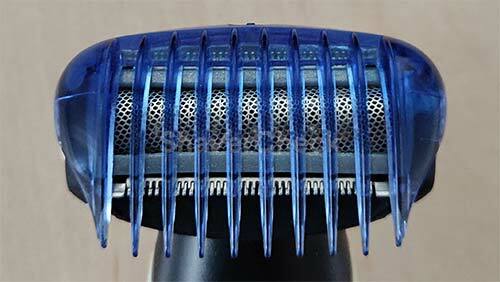 The blue attachment combs click securely into place and can be fitted both ways. The ergonomics are also good, the angle of the shaving head being spot on and allowing easy operation even in tricky areas. The only part that didn’t quite match the rest of the package was the charging stand. It is made out of thin plastic and it seems a bit too lightweight and flimsy. Also, due to the design of the charging mechanism, you have to make sure that the trimmer is firmly placed into the stand; otherwise it won’t charge. More on this in the next section. Philips states that a fully charged battery should last for 50 minutes of use. And that is pretty accurate, I’d say that in practice you should get at least 40 minutes worth of shaving time. That’s a pretty standard autonomy and it’s good enough in the case of an electric shaver for example. However, for a body groomer, I would have preferred better battery autonomy. If you’re very thorough and shave your legs, abdomen, armpits, and chest and do a bit of manscaping as well, you probably won’t be able to do it on a single charge. Unfortunately there are a couple of other negative aspects with the Philips BG2020 Bodygroom. First of all, there isn’t a low battery indicator. And this can be a real bummer if you really need to tidy up and the battery runs out of juice right after you’ve started. Secondly, charging takes about 8 hours, so you can’t just plug it in for a quick charge. In order to avoid this, it’s a good idea to form a habit of always keeping it charged and simply place it in the charging stand after every use. My other gripe with charging the groomer was the design of the charging mechanism itself. There are two small metal prongs on the back of the trimmer that make contact with two metal plates that are located on the inside of the charging stand. When placing it in the stand make sure that the green led from the adapter will light up to indicate that it is charging. You really don’t want to leave it there for 8 hours just to find out that it didn’t charge at all. Also, when the groomer is fully charged you have to disconnect the charging plug from the outlet as this can reduce battery life in the long run. This is not a deal breaker by any means, just some things that you have to keep in mind to avoid some unwanted situations. Cleaning the Norelco BG2020 BodyGroom is very simple and straightforward. It’s a good idea to do it after every use, but you don’t have to be very thorough every single time. The foil and cutters assembly can be easily removed by gently pulling it off the groomer. After that, gently brush the hairs off the shaving foil and cutter block with the included brush. You can then rinse it under running tap water (warm or cold). After rinsing, shake the excess water and pat the groomer dry with a towel. And that’s about it. After using various other products for general body grooming, I must say that overall I’ve been pleased with the Norelco BG2020. The thing that stands out the most is just how comfortable and pain-free it is to use. At first I was a bit reluctant at using it without a comb. If you’ve ever used a regular hair trimmer before for body grooming you know what I’m talking about. But Philips managed to come up with a special design of the two trimmers, making the blades rounded and tapered. No more nicks and cuts, even when shaving sensitive parts like the groin area. Regarding the shaving part, you are pretty much in full control over the length of the hair. You can use the three attachment combs if you just want to trim the fuzz; these work great for areas like the chest or wherever you want longer hair (3mm, 7mm or 10mm). The BG2020 is not quite as good as some other newer Philips body groomers that feature integrated adjustable combs as they can fall off, but it’s not too bad. As long as you don’t use them to trim very large areas like your legs, they will work just fine. 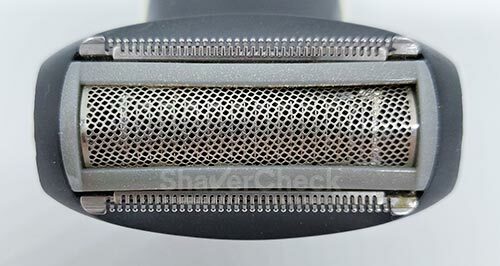 By holding the shaver at a certain angle, you can use the two trimmers without the foil touching the surface of the skin. So if you want to trim the hair basically at skin level but without actually shaving it, you can do just that. This can be great for shaving under the arms or the groin area as those can be very sensitive. Finally, you can completely shave the hair by using the foil. It works just like a regular foil shaver and does a pretty good job. Even though the design of the cutters minimizes the risk of nicks and cuts, it is still a very good idea to use it gently and take your time, particularly when manscaping. If you just ram it into an area that has lots of thick hairs you will eventually pinch the skin. After using the BG2020 for more than a year, I can say that the result was almost always irritation free. However, your skin may need some time to adjust to shaving. Another thing worth mentioning is that no matter what method of shaving you use, if a sensitive area that was recently shaved rubs against clothing you will get some irritation and discomfort. If that’s the case you may want to avoid shaving that area and only use the two cutters as they cut hairs almost at skin level. Overall, the grooming experience with the Philips BG2020 was pretty good. This particular groomer won’t make you spend a lot on replacement parts either. Philips recommends replacing the foil and cutters assembly once a year. In practice, depending on how often you use it and your grooming habits, you won’t have to do it so often. When you do have to replace it, the part can be bought at a very reasonable price. I think every man should have a quality body trimmer just as they should have a good electric shaver. 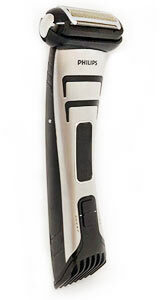 The Philips Norelco BG2020 is an excellent all-rounder, a versatile trimmer that will satisfy most men. It is efficient and very comfortable to use. With that in mind, anyone in search of a good, reliable groomer should consider it. However, as of 2019 the BG2020 is discontinued and there are now better alternatives available. So let’s check them out. The BG2040 BodyGroom is a great alternative. Even though it costs a bit more, it does address some of the BG2020’s shortcomings: it has a better charging stand, charging takes only one hour as opposed to eight, has an integrated adjustable trimmer and a more advanced pivoting head. If it is within your budget, it is a very solid option. The grooming experience is even better compared to the BG2020, but all of that in a sleeker, more capable machine. Finally, if you’re willing to invest a bit more money in a body groomer, there’s what I consider to be the best one you can get right now: the Philips Norelco BG7030/49. 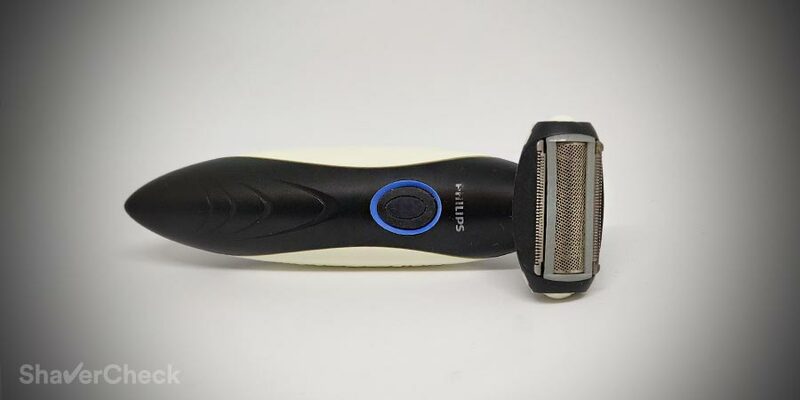 This groomer is an improvement of the BG2040 mentioned above, featuring a massive battery (that provides almost 90 minutes of shaving time), an improved adjustable trimmer and shaving head, sleeker design, better build quality and this time there’s no charging stand. If you can get it and it fits within your budget, it is by far the best option for a capable body groomer.